From May 1942 to July 1945, the 8th Air Force executed daylight strategic bombing against Nazi-occupied Europe. The Eighth suffered about half of the U.S. Army Air Force's casualties (47,483 out of 115,332), including more than 26,000 dead. 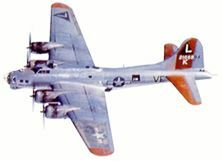 Welcome to the history of the USAAF in World War II. This website is dedicated in honor of the members of the United Staes Army Air Force here and gone but never forgotten. Presented by the Military History Group and created by Mark Aragon. — Winston Churchill, House of Commons, 14 March 1933. 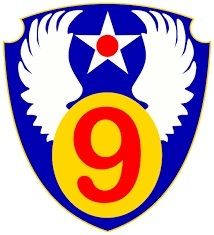 The 9th Air Force was activated on September 1, 1941. The 9th AF participated in Egypt and Libya, the campaign in Tunisia, and the invasions of Sicily and Italy. The 9th transferred to England in October, 1943 and participated in the Normandy invasion and remained in the European continent until the VE-Day. © 2016 Miltary History Group. All rights reserved.